Optimizing your business operations is essential for prosperity. Whether you just recently dipped your toes into business ownership or have been operating an enterprise for years, there is always room for more optimization. Bring more efficiency and attract the much needed attention of your audience. Incorporating these optimization tips in practice will have positive effect not only on customer retention but on your bottom line as well. There are many things that require constant attention when operating a business. Quality is one of those things that you should always keep your eye on. Quality helps build your reputation and allows you to establish yourself as a worthy contender in the market. With reputation, you are able to build a happy customer base that will be willing to come back time and time again. When operating a business, you need to start strong and keep the momentum going. Deliver a quality good to the market, and don’t let it drop for a moment. Remember that it costs more to bring in a new customer than to keep one. Quality is one key aspect that garners customer commitment to you. Pay attention to quality of your product or service. If possible, improve it – never let your quality slip. This can cause you to lose your proven reputation and have customers jump ship. One of the simplest and most effective ways to optimize your business and save yourself valuable time. Incorporating online invoicing into your operations streamlines all your finances. Let’s not forget, is a lot better for the environment. Shift your invoicing from the archaic paper copies and snail mail services. Those things are inefficient and may be more difficult to stay organized. 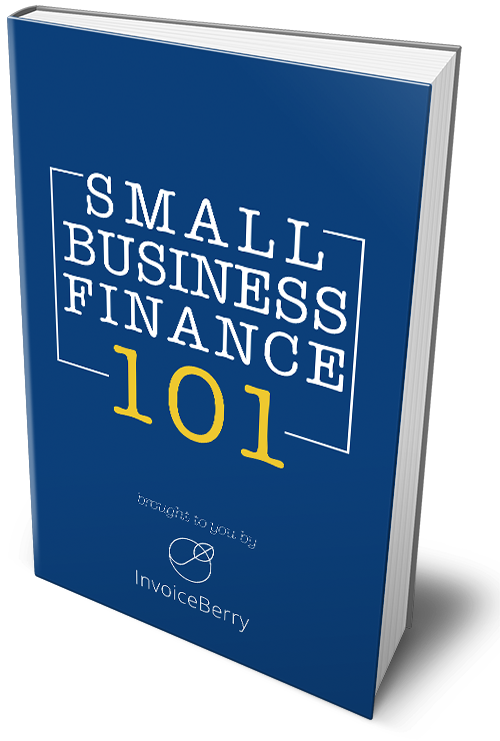 If you haven’t already, look into some online invoicing services such as InvoiceBerry. You can create any invoice your heart desires in seconds and deliver it to the people that matter right away. Not to mention it helps track all of your expenses and incoming cash from all your clients – which brings me to the next point. When optimizing your business, you should always monitor cash flow. Cash flow is the lifeblood of your operations. It’s what allows you to keep your doors opened and the people working. As previously mentioned, invoicing software is one of the things that can help you monitor the financial health of your company. Now this is a task that needs to be accomplished constantly – monthly or sometimes even on weekly basis. You may not always be available for the constant financial oversight so you will need to assign this to a trusted individual within your organization. Tracking in and outs of your cash flow is something that can help you stay prepared for whatever lies ahead. Without scrutinizing your finances, you will struggle making sound financial decisions which will hamper your progress. Piggy-backing off of cash flow tracking, budgeting plays a big role in that. Your goal is to responsibly manage your capital and allocate it to where it matters most. Budgeting business expenses allows you to map out the road your cash needs to take for most optimal ROI. Whatever you spend your money on, make sure you prioritize and stay committed to your budget. Not even taking into account other marketing channels, social media needs to be part of your marketing arsenal. You cannot leave this off the table, otherwise you’re just shooting yourself in the foot. Social media has immense potential in helping you reach the people you need to. With around 2.5 billion –yes with a “B” — social media users world wide, it is by the the widest reaching marketing tool you have at your disposal. I am sure most of you use social media for communication with your friends and relatives. Many of you are aware that there are a variety of platforms out there for you to use. Now not all social media outlets are created equally. Each one has it’s own strengths and weaknesses that you will have to evaluate for yourself. Overall user base of each platform. One of the key ingredients that can enhance your social media presence and user engagement is automation. Not only does it make your digital marketing more effective, it let’s you take care of other business matters while you hand over the social media reigns over to the software. Buffer connects your Twitter, Facebook, Google+, and LinkedIn accounts. It will allow you to create an automation schedule for when and where your content gets published. This tool is incredibly useful. All you have to do is create the content you want published and let Buffer handle the intricacies of getting it all online. Use EvergreenFeed in conjunction with Buffer – this will be your mustard for the hotdog. With EvergreenFeed, you’re able to schedule any and all social media posts you create for automated posting. Optimizing your online presence for mobile devices is one of the most important things you can do to drive web traffic. If you have a website, you need to be sure that it is mobile friendly. People are constantly on the move, and being able to cater to that nomadic culture is essential. More users are accessing the internet through their phone or tablet than through the use of the conventional desktop. Search engines prioritize search results to those web pages that have optimized the user experience both for the desktop access as well as mobile devices. As you can see, if you forget to to adjust the user experience for the mobile demographic, you will be missing out on valuable traffic and potential customers. Finding those specific colleagues that feel at home at your organization will not only make you happy, but will boost the overall productivity of your business. Idea here is that you want to hire the people that not only exist for a paycheck but thrive in the environment you have fostered. With today’s available technology, incorporating remote talent has never been simpler. It has a chance to add much needed flair to your team and make your operations just a bit more productive. You no longer have to confine yourself to your immediate surroundings to find appropriate individuals for your business. Broaden your horizons and look around the globe, see what it has to offer and who will fill those few crucial spots on your business roster. There are many tools from aforementioned invoicing software to social media automation that can help organize and optimize your business. Collaboration and team work can also be enhanced through the use of proper tools. An effective business and the team within, stems from constant communication and the ability to stay on the same page – no matter where anyone may be. You have a variety of tools to choose from out there to help everyone interact and collaborate efficiently. Of course with some many possibilities, you may be overwhelmed when trying to make the most optimal choice. Here are some of the top contenders I have selected to help ease the pain of “too many options” scenario. Huddle is an all-around well developed program centered around managing tasks and collaborating with your team. You can share files easily. Any documents stored on Huddle, can be opened up anywhere with your favorite software such as Microsoft Word or Google Docs. All the communication happens on a safe and secure network. Don’t be afraid to share files among your group and your clients. Huddle is also available on your mobile device or tablet. Both iOS and Android compatible. Float is a task managing tool as well as a scheduling platform. With this software you can manage all the things that create a productive team. You will have access to all the team members information – their available hours, hours worked, and overtime. Creating schedules will be that much easier on this platform since the individual availability is all listed there. Uploading projects onto this platform is easy and sharing them with the ones you need is always an option. The team will always be up to date on all the vital information. Any files you exchange through Float can be exported straight to Excel or Word. Optimizing your business is a never ending process – like everything else, you will need to continue to adapt in order to stay competitive. Keep staying on the top of the latest trends and consider the things we discussed here. It will help you draw valuable attention to your business. Efficiency and promotion is the name of the game. Optimization helps elevate your efforts and foster a more productive environment. How to Optimize Your Small Business Website to Get More Visitors?